Castle is losing its non-titular lead. The ABC series has announced it’ll move forward without Stana Katic, the actress who plays Castle’s wife and muse Kate Beckett. Though the series hasn’t been picked up for a ninth season yet, both Katic and longtime regular Tamala Jones (“Coroner Lanie Parish”) have been preemptively excluded from any production that might occur. Though ABC issued a statement saying it’s “grateful for Stana Katic’s talent and dedication to the series,” rumors are running rampant about why the move was made. 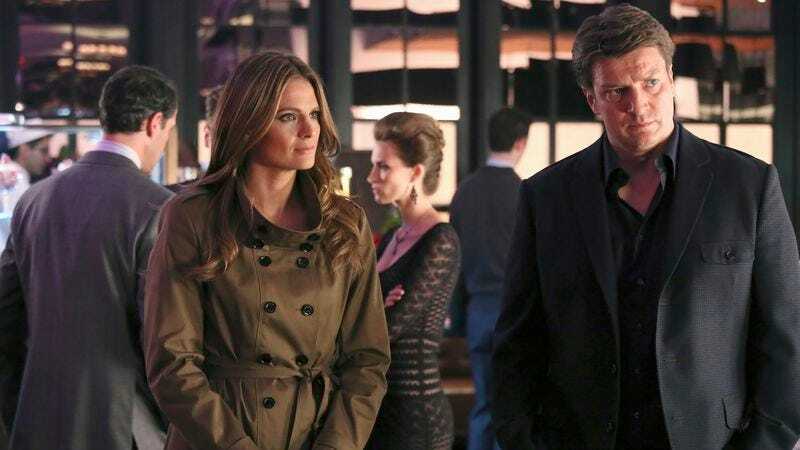 TVLine is speculating that it’s “an apparent means to cut costs,” while The Hollywood Reporter cites sources that say Katic and the show’s star, Nathan Fillion, had “repeated clashes” leading to the actress feeling “unhappy on the series.” THR says the arguments are also responsible for Castle and Beckett’s frequent on-screen splits this season, something the show has attributed to some sort of shady syndicate-like business with Beckett and some bad guys. It’s worth noting that the current season of Castle, its eighth, is its first without its original showrunner, David Amann. It has also been the show’s first season without its creator, Andrew Marlowe, and writer-producer Terri Miller. If the show returns for a ninth season, it would be its last.